We know what it feels like when you’re just craving that food from home or want to duplicate your favorite dish and need that extra special ingredient. Or maybe you’ve been tasked with introducing foreign holidays to your students and need those extra sweets and supplies. Here we’ve gathered a few of the most popular stores around Ehime and websites used by mikans when they need that little bit of home (or maybe you just like a variety of foods, we don’t judge). While the list is not exhaustive we hope that you can find what you are looking for. Kaldi is an international store with four branches in Ehime, one located in Fuji Grand, one in Emiful, and the other two are in the Aeon malls in Imabari and Saijo. While their main product is coffee, they also have a variety of cheeses, baking goods, sweets, American, Chinese, German, Korean, Mexican, Indian, Indonesian, Italian, Thai, and Vietnamese goods. Aeons own supermarket has a small international section as well as the branches in Imabari and Saijo having a Kaldi inside. The Matsuyama branch has a shop called Caférrant which is similar to Kaldi as it has a nice trove of foreign ingredients. 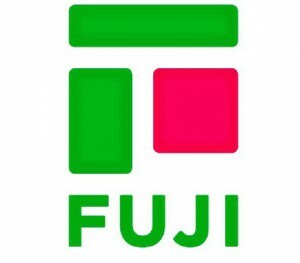 Apart from Fuji Grand (which also has Kaldi) and is located across from JR Matsuyama Station, even your local Fuji may have a small international section. The meat guy is exactly how it sounds, they sell meats! Are you craving sausages? Want to buy a turkey for Thanksgiving or Christmas? Do you miss your mothers Kangaroo burgers? How about Crocodile? Rabbit? Camel? Do you have fond memories hunting and want to eat some deer? Or maybe you just want different cuttings of meat that your neighborhood market or butcher does not offer. 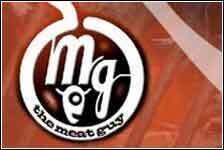 The Meat Guy offers a very eclectic variety of meats and cooking accessories. Similar to The Meat Guy, The Foreign Buyer’s Club is a website set up by expats in Japan who, while Japanese food is delicious and healthy, sometimes you just want a more international palate, so they set up a website to sell international goods in Japan. 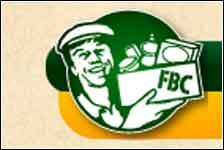 The Foreign Buyer’s Club, though they do sell meats (though not like the Meat Guy) their main focus is on other supplies ingredients, or maybe you want some deodorant, or western style toothpaste, or lotion that is not milky or full of alcohol. Do you love spice? Does your market not have a variety of fresh herbs. 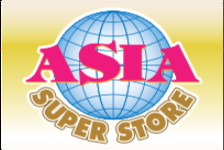 Unlike the above stores, the Asia Superstore sells Asian (mostly Thai) produce and goods across Japan. If you miss Thailand but just can not take the vicious sun’s heat, this store is perfect to get those little reminders from the land of smiles. 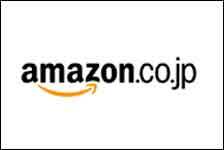 Before Costco Came to Japan, the people from this website helped to send Costco and foreign goods to those in Japan. Now there are several Costco’s across Japan, but they are still few and far between. If you can not often make the trip to the closest Costco in Hiroshima or are tired of waiting of ‘those rumors’ that Matsuyama will be getting a Costco, to come true. You may say “Yeah, when pigs fly!” but you don’t need to because you’ve got a friend in the flying pig. If all else fails, it doesn’t hurt to try a search on Amazon too. Like their logo shows, from A to Z they have it.